We will not knowingly be undersold. flag manufacturing business since 1965. Our staff is capable of handling all your flag and banner needs from digital printing & applique to custom message and attention flags, banners, & table covers. We carry a full line of flagpoles & accessories, as well as hardware for all types & shapes of flags. Below are the basic types of flags available. Click on category you would like to view and the >> symbol to link into more information. 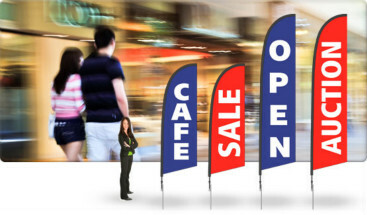 Promotional and Marketing flags can be placed from one location and can be transferred to another very easily. These types of flags usually come with mounting poles that are very light in weight. Advertising flags are also easy as well as convenient to install. The cost of advertising with flags is definitely way lower than most traditional forms of advertising. Browse our site for all your flag and flag related needs! 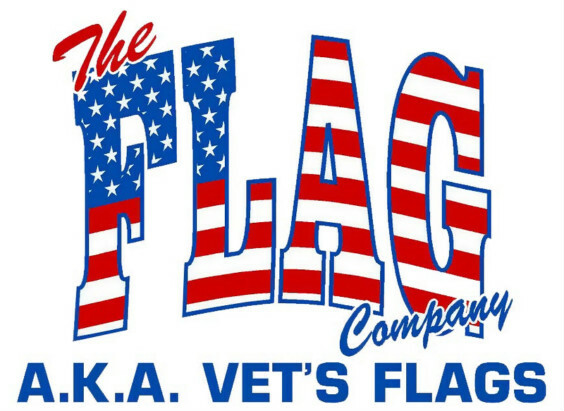 The Flag Company works with Annin.com and ValleyForgeFlag.com to ensure you that all your flag related needs are met. We personally will assist you in making sure you are completely satisfied and to answer any questions you may have. Our flags are made to the highest standards by the most experienced flag makers in the industry. Combining a bright vivid appearance with durable construction, our flags are made to resist weathering and retain their structural integrity. 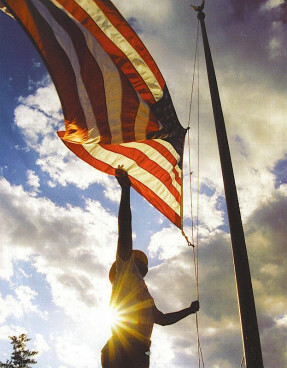 The Flag Company has been and continues to be a proud supplier of made-in-the U.S.A flags. Our flags are made in a variety of sizes and styles. The fabrics we use are chosen depending upon how the final product will be displayed. If we do not have the flag or accessory in stock, we will gladly locate it for you.